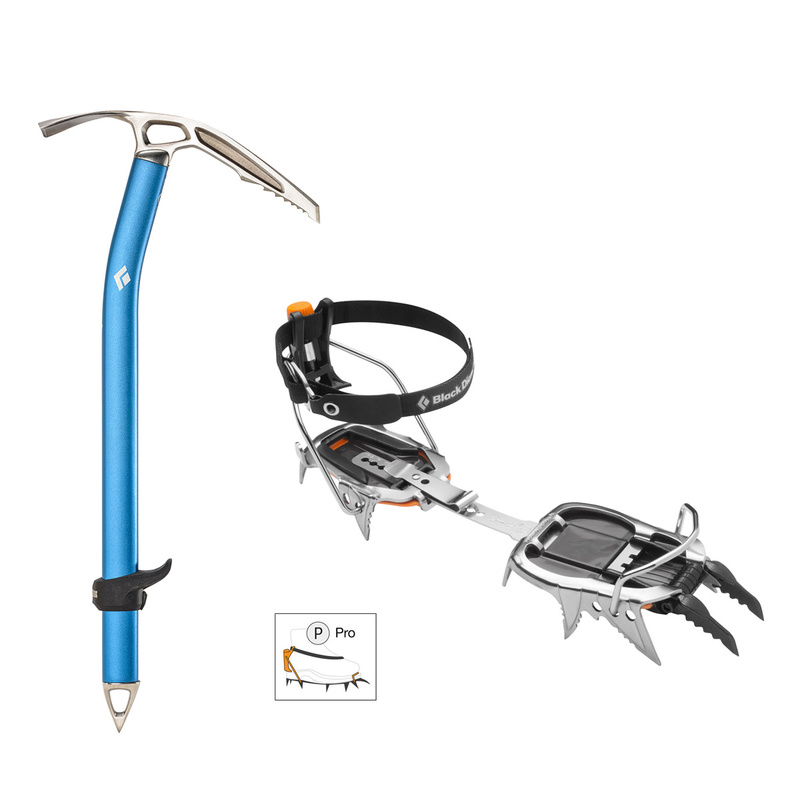 We've targeted the Black Diamond Alpinism Kit at the more technical alpinists and mountaineers who require an ice axe and a pair of crampons for ice and technical mixed climbing. The Black Diamond Swift features a technical profile with a curved head for steeper ice, but still retains a straight shaft for better plunging and self-arrests. The FlickLock™ pommel is fully adjustable and allows you to improve your grip when holding the axe high up the shaft on technical sections. The Cyborg Pro crampons are semi-rigid, durable stainless steel, C3 crampons with adjustable front points. You can configure them to either dual or mono to provide a solid bite in ice or precision over rock.